The Islands of Milwaukee project aims to engage seniors living alone in the Milwaukee community. 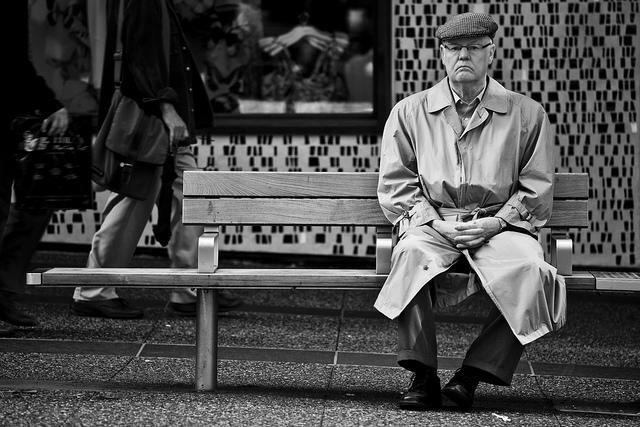 "As a health risk factor, social isolation is the equivalent of fifteen cigarettes a day. We are trying to make sure that people who want to, as they age, live at home are engaged in their community and are not disconnected," co-lead artist of Islands of Milwaukee Anne Basting says. Among the project's elements has been a regular, thought-provoking question of the day. 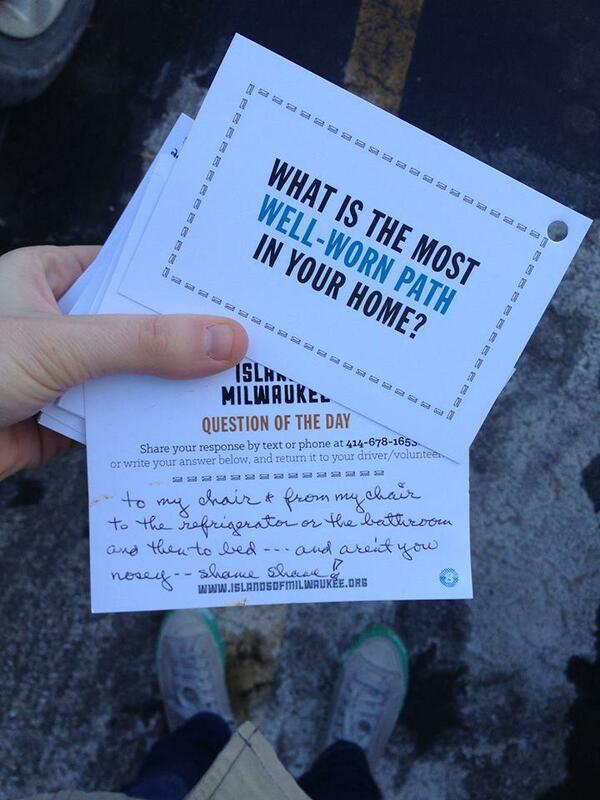 People are invited to weigh in on issues in-person, over the phone and through the mail. The project will culminate this weekend in the opening of an art exhibit based on the question of the day, on display at Milwaukee’s City Hall. Anne Basting, theater professor at UW-Milwaukee and co-lead artist of the Islands of Milwaukee project; Kara Grennier, director of community services for Goodwill Industries of Southeastern Wisconsin – one of the project’s partners; and Wayne Budzien, who asked the question of the day in his work delivering meals through Goodwill spoke with Lake Effect's Mitch Teich about the impact of the program and the importance of engagement in the community. The Islands of Milwaukee performance piece runs this weekend at Milwaukee City Hall, coinciding with Doors Open Milwaukee. The culminating exhibit invites all to meet the people providing connections to the community and become engaged, especially with their senior neighbors. The exhibit will be open through October 20th. A series of three street performances taking place this Thursday and Friday carries a simple message - remember to see and stop for pedestrians. Lake Effect's Mitch Teich talks with Amy Grau, program manager for Doors Open Milwaukee. 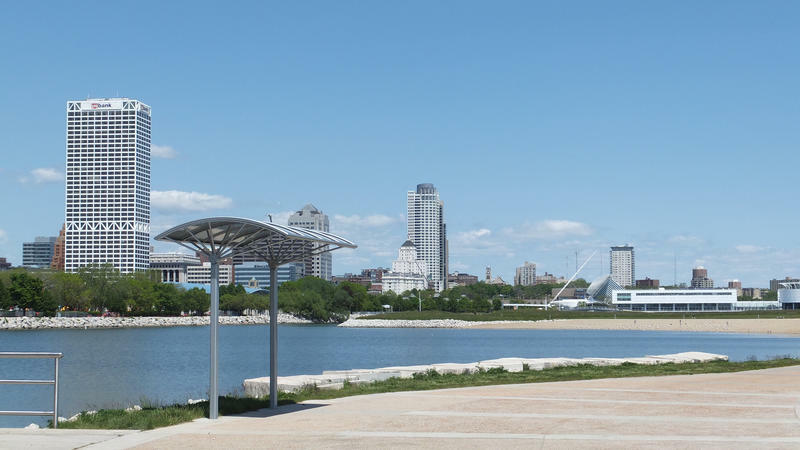 For the fourth year in a row, many of Milwaukee's famous city landmarks, and some lesser-known hidden treasures, will be opening their doors to visitors.